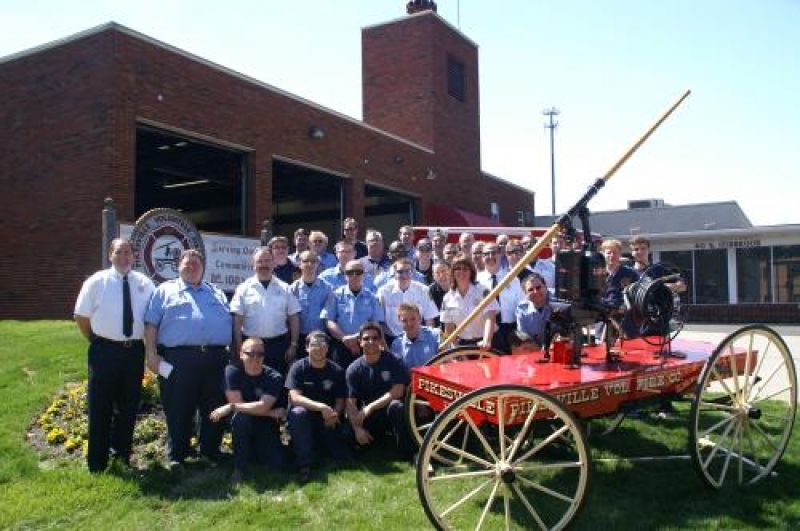 The Pikesville Volunteer Fire Company grew from a wish in the hearts of a group of community leaders into a reality in the hands of its members. 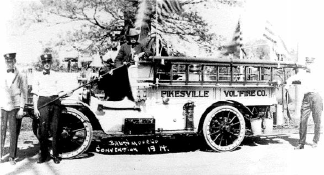 On February 4, 1897, Pikesville Volunteer Fire Company charter members signed the original Mission Statement. 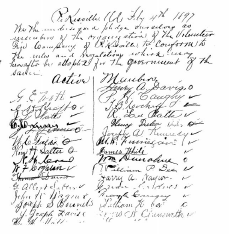 We, the undersigned residents of Pikesville, pledge ourselves as members of the organization of the Pikesville Volunteer Fire Company to conform to rules and regulations which may hereafter be adopted by the government of the same. 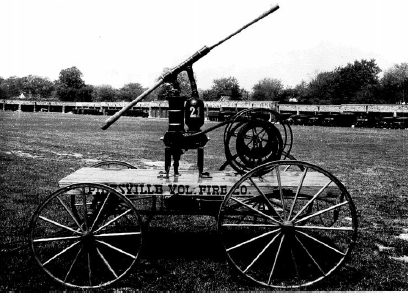 The first formal meeting of what was to become the Pikesville Volunteer Fire Company in Baltimore County, Maryland convened on February 4, 1897 at Odd Fellows Hall in Pikesville. One of the first orders of business was the official naming of the Company, which consisted of about three dozen local citizens, businessmen, and land holders. The group discussed suggestions for Company names and, after what must have been a rousing brainstorming session, took a vote. 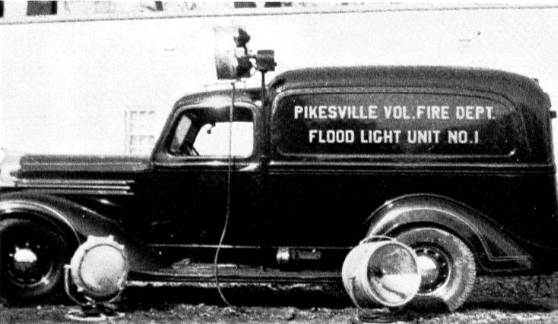 "Pikesville Salvage Corps" received two votes, "Pikesville Hook and Ladder Company" received four votes, and "Pikesville Truck Company" got no votes. "Pikesville Volunteer Fire Company" received 23 votes, and a motion was made and carried that adoption of the new name be unanimous. 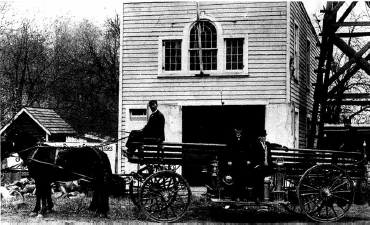 The company's first piece of apparatus, a Holloway ladder truck ordered six months prior, was delivered in February of 1898-almost a year to the day that they had signed their names to the Company charter. The truck cost $500 and was built by the firm of the noted Baltimore County fire department advocate, leader, and inventor Charles Holloway. In anticipation of the delivery of the Holloway, the Company had voted to appropriate funds to build a temporary truck house on the property of the Company secretary H.A. Davis and to "get up an entertainment" to raise the money to buy a truck house bell. The event raised the $103.75 cost of the bell and mounting, which was made by the Henry McShane Manufacturing Co. The new truck house was completed in the late winter, and the public dedication of the new building took place complete with a parade and celebration in mid-March. 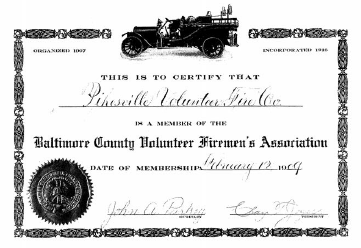 In January of 1899, the Company received a letter from Maryland State Firemen's Association, requesting PVFC to join. The letter included a copy of the MSFA constitution and bylaws. After a committee was appointed to study the matter, the Company resolved to join the Association and the annual dues of $8 were forwarded. In the spring of 1899, the Company again appointed a committee to "get up a musical and literary entertainment, proceeds of which would be devoted to the purchase of a force pump and two hundred feet of hose." In August, 1907, PVFC received an invitation from the Towson Volunteer Fire Company to send delegates to attend a convention in Towson that month. This event was to mark the beginning of the Baltimore County Volunteer Firemen's Association, and a month later, PVFC paid its first membership dues of five dollars to the Association. The Company authorized the purchase of an automobile truck in May of 1912 and a new Atterbury truck was delivered that August. The Atterbury was a reconfigured commercial chassis, but unfortunately did not live up to the heavy duty of fighting fires. 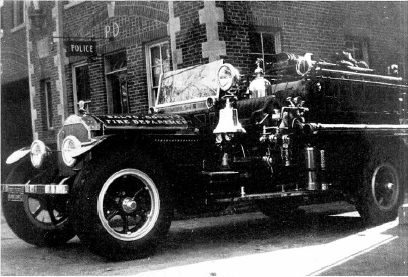 Almost immediately, the Atterbury was slated for replacement, and in December of 1915, PVFC members were inspecting an American LaFrance when a fire call came in. The Company responded and was followed by Captain Preister in the new truck. The LaFrance was put into service at the scene and proved itself by pumping through 1,380 feet of hose. In 1921, the current fire station at Reisterstown Road and Church Lane was opened as a combination fire and police station. This was one of five similar structures built for this purpose. The others were Towson (Engine #1), Catonsville (Engine #4), Halethorpe (Engine #5), Dundalk (Engine #6) and Essex (Engine #7) (Betsy Weaver and Gary E Frederick, Hands, Horses and Engines, A Centennial History of the Baltimore County Fire Service, 1982). But Engine Company #2 was different. The Pikesville Volunteers, currently located one block west on Reisterstown Road, were in need of new quarters. A deal was arranged that moved the PVFC in with the paid men. This was an unprecedented move in the county, to this day never duplicated. The paid Engine #2 sat in the front and Engine #21 of the Volunteers sat behind it, giving Engine #2 the first chance. Engine #21 would go if #2 was already out or would accompany #2 on bigger fires. Another unusual aspect of this cozy facility was the presence of the county police department, two prison cells, and court room. The station's dayroom used to be traffic court on Thursday night, a big attraction for the volunteers. On May 23, 1930, PVFC members approached the Baltimore County Commissioners about County support for a voluntary ambulance unit purchased by PVFC. The Commissioners agreed to provide garage, gasoline, and oil for the ambulance. 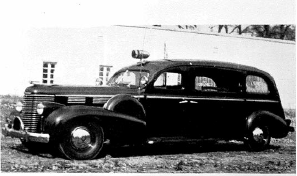 A Packard ambulance was ordered by PVFC on October 3, 1930. It was delivered in November at a cost of $4,108.68, complete with first aid equipment. 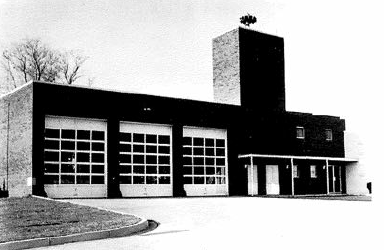 In 1962, Pikesville undertook to build itself a new fire station separate from the county Engine #2 at a site off Sudbrook Road. The first order of business after the contract approval was to clear the lot. This provided the fire Company with some burn practice. Construction proceeded on the fire station and community hall. 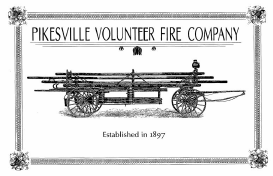 While the Pikesville Volunteer Fire Company is certainly proud of its volunteers, no history of the Company would be complete without mention of the Company's "paid men." It may seem strange that a volunteer Company would have paid members, but the custom came about to ensure that the station, particularly the ambulance service, was staffed during the daytime hours. Throughout the late 50s and 60s, the demand for such service was growing at a rapid pace. 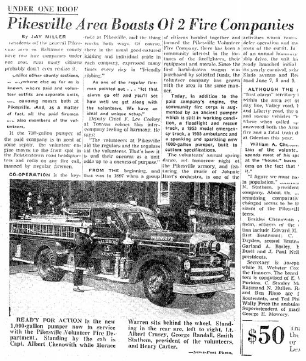 In 1962, the Company first employed a daytime firefighter to provide better service to the community. Unlike the career "paid" service, this employee has been paid exclusively by the the Pikesville Volunteers. (Career employees, who work in exclusively career stations, are paid by Baltimore County Fire Department and taxpayers' dollars.) The paid person would serve as an ambulance driver Monday through Friday, from 7:00A.M. to 4:00 p.m. This paid position also afforded the Company someone to assist with station business, errands, and whatever other duties had to be handled during the day when most volunteers worked their daytime jobs. 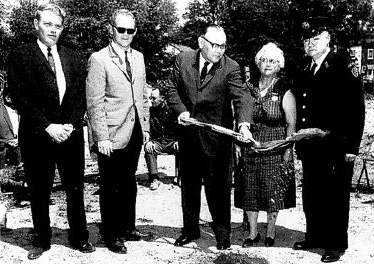 Dedication of the new station took place on September 22, 1963, almost a year after groundbreaking. The PVFC officers turned out in full dress uniform and an honor guard presented the colors. Governor Tawes presented the flag to Smith Stathem and William Chenoweth. Hundreds of Pikesville residents, their families, friends, dignitaries and fellow firemen turned out for the gala dedication on a bright fall day. 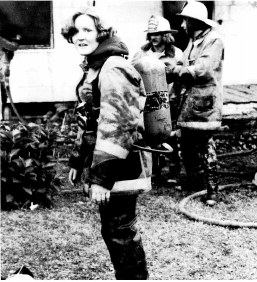 While the Ladies' Auxiliary has always played a crucial role in Pikesville's history, women entered active firefighting duty in 1976 when Danelle England became the first female PVFC firefighter. On her first day in station, England saw four calls. Jane Rosen joined PVFC and along with England, they served as intravenous therapists and emergency medical technicians. Their contribution has helped make Pikesville a highly professional, groundbreaking volunteer outfit. 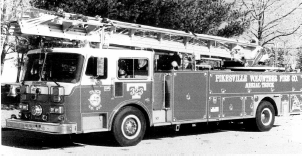 In the fall of 1986, a special meeting of the Fire Company was held, so the membership could debate whether or not the Pikesville Volunteer Fire Company should, once again, provide Ladder Truck service to the Pikesville area and surrounding communities. The decision was finally made to disband PVFC's second engine Company service and air unit service and replace them with a truck Company.The Baltimore County Volunteer Firemen's Association approved the move. The truck committee then set out to purchase a 100' aerial ladder. The Company set the purchase limit at $250,000 and the Seagrave Company of Wisconsin got the bid. The vehicle was delivered in the winter of 1987, equipped with all the truck Company items except for vehicular rescue tools. The new truck was also equipped with a pre-piped ladder-pipe attached to the bed section of the aerial, in addition to the standard ladder pipe for the top fly section. This design is now standard for all of the county's career ladder trucks. Truck 323, as it became known, was also a pioneer in Positive Pressure Ventilation (PPV). This involved using a gasoline-operated, higher-output fan to pressurize a structure while firefighters are initiating their interior attack. These gasoline-operated fans were originally a hard sell to neighboring companies, but now are commonplace in all of Baltimore County. That year, PVFC's constitution and by-laws were changed to reflect the change in officers. The position of Air Unit Lieutenant was deleted, and a 1st and 2nd Truck Lieutenant were added. On the next election, L. Allen Roody and Cleve J. Thompson were elected as the first Truck Lieutenants in PVFC history. The year 2001 again saw PVFC make history, when the Baltimore County Fire Department announced the promotions of three command staff with Pikesville ties to the position of Division Chief - Harold Cohen, Danelle England-Dansicker and Mark Hubbard. 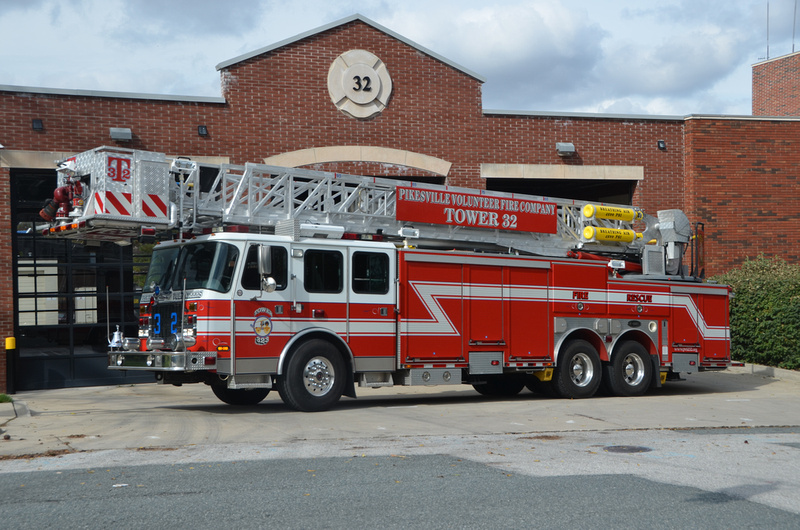 In 2003, PVFC took Truck 323 out of service to prepare for the next generation of aerial operations – which occurred when Tower 323, a 2003 Emergency One 95-foot tower ladder, was placed into service in May 2003. In the fall of 2003, PVFC dedicated a building addition, adding three additional drive-thru bays for the engine, tower and squad. In commemoration of the company's Centennial, the old Gould hand pump wagon, affectionately known as "Old 21" was completely refurbished by Swab Wagon Co. The job took months of detailed work – every piece was dismantled, including the leathers in the pump; reworking wood and wheels; polishing brass; and reassembling. In 2005, PVFC members proudly walked "Old 21" in the annual Maryland State Fireman's Association parade in Ocean City in honor of PVFC member Lee Sachs assuming the role of MSFA President. 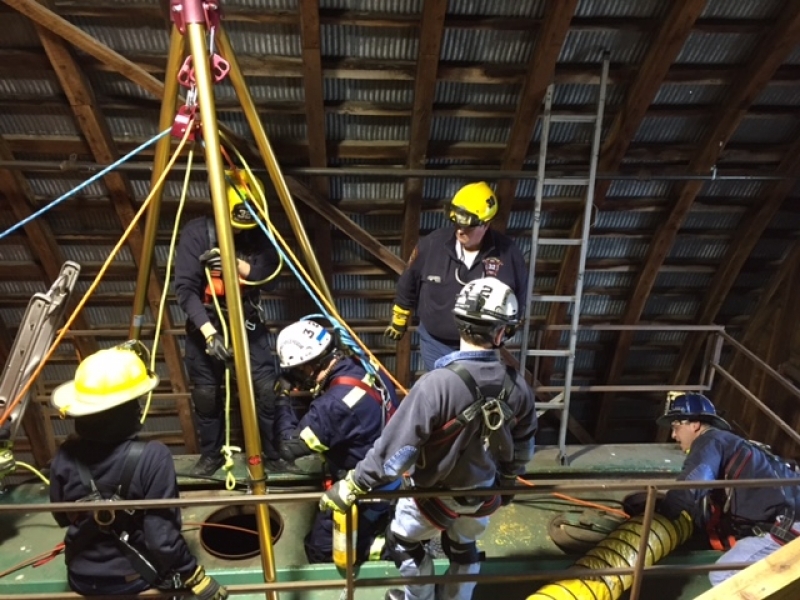 In the summer of 2006, Pikesville’s Confined Space Team responded to its first working incident, working alongside other Advanced Tactical Rescue teams to extricate two construction workers from a confined space in Owings Mills. Pikesville Volunteer Fire Company © 2016.